Designer and author of Your Body, Your Style Rani St. Pucchi, shares the ideal wardrobe you need to pack as you head out for your trip. 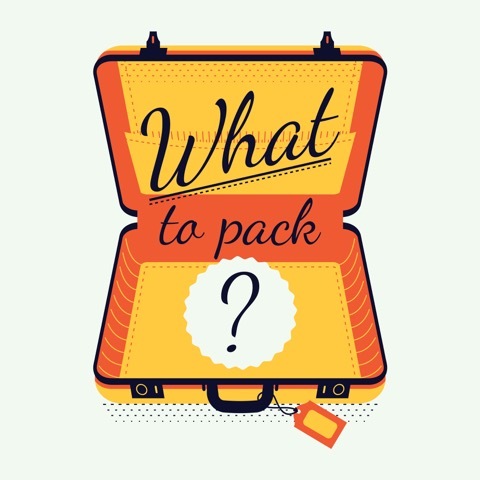 Ask any adventure virtuoso, backpacker, or business traveler what is the most time-consuming (and confusing) part of planning for a trip, and invariably they will all say packing. So, how can you get this process down to a science so you don’t have any regrets and spoil your trip wishing, even blaming someone else for your choices? How much to bring? Several days before the trip, check the weather to determine what you will need. List all the items you will need, and keep the list where you can see it often. Each time you remember something, add it to the list. The list should be divided into: clothes, shoes, undergarments, workout clothes (if needed), swimwear, nightclothes, toiletries, camera items, and any other necessities that are part of your daily regiment. Classics and neutrals work best. A black pantsuit, a well-tailored herringbone sheath, a classic trench, a white shirt, and a sleek jacket are some basic pieces that will keep you looking sharp. Pack a couple of scarves to add color and some jewelry to dress up your outfit for evenings out. You need one pair of bottoms with two interchangeable tops; make one dressy and the other casual. Add a cardigan, sweater, or jacket. Think in terms of mix-and-match pieces. Three tops, two bottoms, and one dress will give you more than six different outfits. Add a pair of yoga pants that can double as pajamas. And a swimsuit. Get six days right. Plot them from head to toe. Add to the mix some camisoles and underpinnings and at least two jackets and a couple of scarves. Now you’re comfortably prepared for twelve to sixteen outfits that can be interchangeable by rotating the tops and bottoms, switching camisoles, and changing accessories. Add to the mix two yoga pants and a swimsuit. This excerpt was taken from Your Body, Your Style by Rani St. Pucchi Copyright 2016. All rights reserved.